The most common application of a fireproof mortar is the protection of metallic structure. In order to certify that the applied thickness complies with the task of guaranteeing the bearing capacity “R” during a fire, it is necessary to carry out a test under the UNE EN 13381-4: 2014 standard: “Test methods to determine the contribution to the fire resistance of structural elements. Part 4: Passive protection applied to steel elements “. This test standard is updated from time to time and is becoming more accurate and demanding. 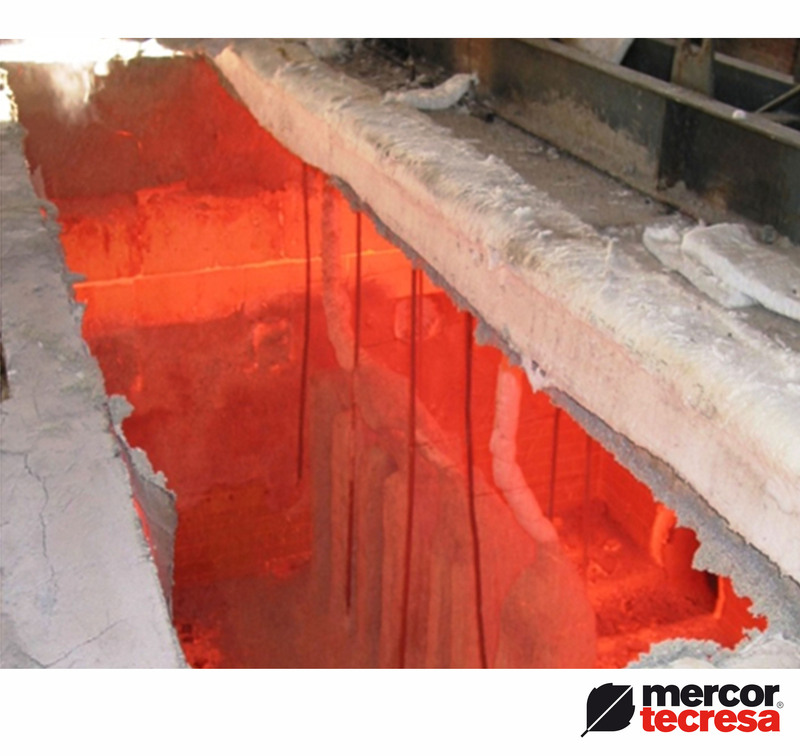 mercor tecresa® R&D department has recently carried out a new test of Protection of Metallic Structure using Tecwool® F fireproof mortar under said standard and the results have been very satisfactory. Improvement of coating thicknesses with Tecwool® F compared to the previous test and any similar mortar of the competition. We start with a thickness of 10 mm (instead of 15 mm from the previous test) and the thicknesses increase according to the requested fire resistance and mass. Thus, we get the same bearing capacity “R” depending on the mass with less thickness than the previous test. This allows us to save costs with an even more competitive product. Greater mass: with this new test we can certify protection of very thin profiles up to 495 m-1 masses. This was impossible with other mortars and other fireproof products. Greater fire resistance: This new test allows us to reach a fire resistance of 240 minutes, unlike other products. No mesh needed: Another advantage of Tecwool® F fireproof mortar is that it does not require the installation of a metal mesh prior to the projection of the mortar, even in hollow profiles. Due to the properties of this product, neither cracks nor chipping are produced by detachment of mortar. Direct access to tables with different critical temperatures: In most cases, we will go to a critical temperature of 500 º C. However, sometimes it will be necessary to resort to a different critical temperature, as happens with profiles casted in Barcelona. In this case it is required to know the necessary thickness for a critical temperature of 350 º C.
Direct values ​​for hollow core profiles, both circular and squared. We have different thickness tables, as the regulation indicates, for type I or H open profiles and for closed profiles, both squared and circular. For all these reasons, with the new test we achieve that our Tecwool® F fireproof mortar remains one of the best passive fire protection products in the market.